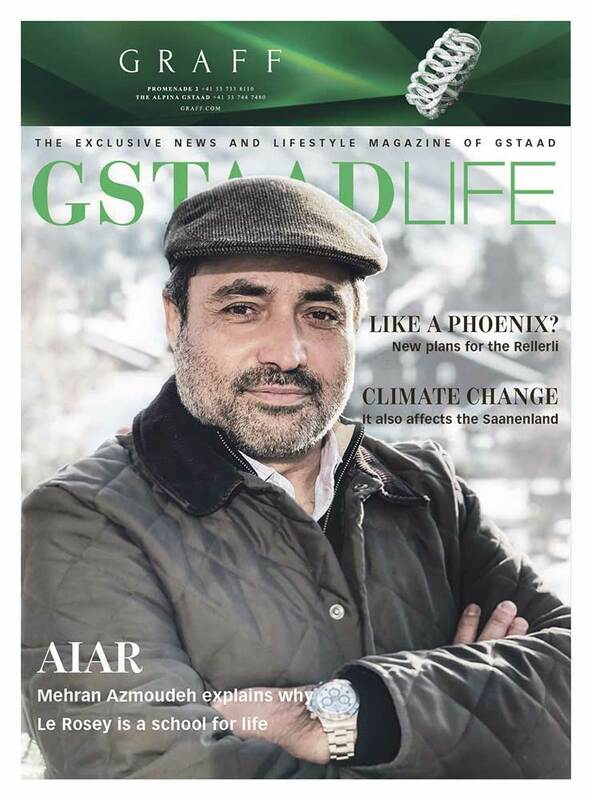 The first issue of 2019 is out now with lots of news, stories and the interview with Mehran Azmoudeh. Dont't miss it! 217 people took a last ride with the Rellerli cable car on 6 January. It was a foggy day, which did not reward visitors with the famous panorama. It did, however, reflect the feelings of many who came to bid the Rellerli farewell. Please bear with me when I am stretching it a bit with the weather metaphor: similar to the few blue patches of sky that were visible here and there that day, a recent press release lifted the fog over the future of the mountain a little. Some have even spotted a silver lining. It is clear now that the Rellerli won't vanish from the touristic map. Activities and offers will maybe attract a different crowd than before but the Rellerli will be reborn. Even an option for a new, reduced cable car is on the table. The best part of it is definitely the fact that the press release was issued jointly by Gstaad Saanenland Tourismus, the municipality of Saanen, Mountain View AG, and the association Friends of the Rellerli. With everybody pulling on the same end of the rope, reviving the Rellerli will be much easier.